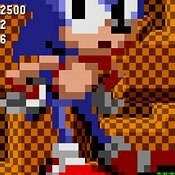 Description: Play through the original Sonic as an extra large giant Sonic. He is basically destructible. Run through anything in your path. No one will survive!